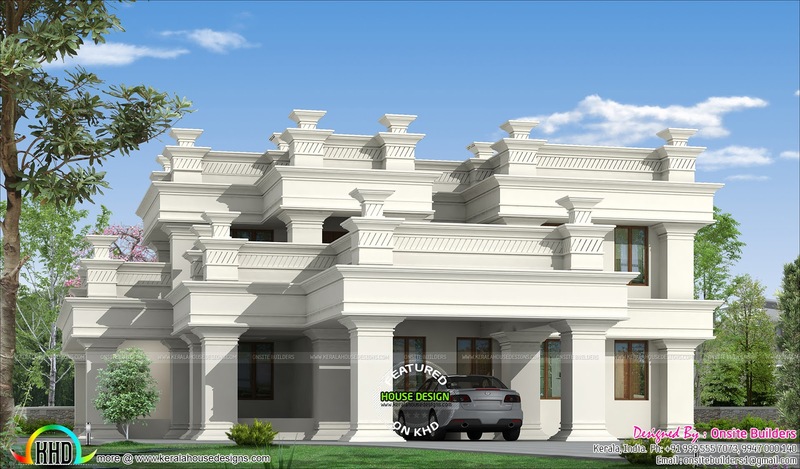 3200 Square Feet (297 Square Meter) (355 Square Yards) 4 bedroom decorative style luxury home architecture. Designed by Onsite Builders, Kerala. First floor - 1200 Sq.Ft. 0 comments on "3200 sq-ft decorative luxury home"